You already know how important your credit score is and how it impacts many aspects of your life. As a result, it makes sense to do whatever possible to improve your credit rating. If your credit score has suffered, you can improve the situation with the help of credit repair – if it’s done right. Before I explore the required steps, it is important to note that you can employ all of these tactics yourself, or you can hire a reputable company that specializes in credit repair and they will fix your credit for you. If you choose to hire a company, make sure they are experienced and have a long track record of success. At present, the most experienced company with more than 20 years of experience, proved to be reliable and very efficient in removing negative items for their clients over the years, is Lexington Law – check these impressive results – I highly recommend them. If you want to repair your credit, you first need to know where you stand. Once you do that you can focus your effort into the items that need to be fixed. To assess your credit standing, you have to get a hold of an up-to-date credit report and credit score from each of the three major credit bureaus, Experian, Equifax and TransUnion. 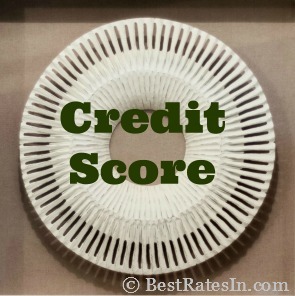 You are entitled to a free credit report every 12 months from each of the credit bureaus and you can get these reports online at www.AnnualCreditReport.com. These reports include your personal information, credit history, credit inquiries, public records and sometimes a personal statement BUT NOT your credit scores. In order to obtain those you’ll need to pay a small fee to these companies. When you review your credit reports, look for errors and identify fraudulent accounts. First, make sure that your personal information is accurate. Then, look at the accounts on the report and verify that you recognize them all. Also, look for duplicate accounts. Chapter 7 Bankruptcies – 10 years. Chapter 13 Bankruptcies – 7 years. Late payments – 7 years. Judgments – They remain on your report until the statue of limitations runs out or for 7 years, whichever is longer. Charge Offs – 7 years, counted from the last delinquency date. Tax liens – These remain on the report until paid plus 7 years. You can shorten this by paying the lien in full or by getting into a payment program and filling a withdrawal form (IRS form 12277). Every time you find an item on your report that is either inaccurate or that you are unsure of its accuracy, add it to a list for further investigation. Your investigation list is the foundation of the repair and clean up process. The law is on your side and allows you to request an investigation on any questionable item on your credit history report. It is important to note that no one can delete an accurate negative item from the report. However, if you feel an item is inaccurate, you are entitled by law to challenge it. You can also challenge questionable items, such as the date of the removal of an item, or items that you feel are incomplete. When you challenge a bureau with a dispute letter on a questionable item, they are required BY LAW to investigate your case in a timely manner. If the bureaus cannot VERIFY the accuracy of that item within a limited time frame, they must delete it from your report. It used to be enough just to send dispute letters to the credit bureaus but not anymore. In order to increase the efficiency of the disputing process and your success rate you should contact the creditor before you send a dispute letter to the bureau. Ask the creditor for a proof. Make sure you contact them with a registered mail addressing the correct department/contact person that handles these types of inquiries. Save a copy of the letter as well as the receipt proving that you contacted them. Now you can add a copy of the creditor’s response to the dispute letter you send to the bureau. This way when the credit bureaus investigate your case asking the creditor if the item is accurate, verified and complete they will not settle for “yes” but will want to see supporting documents. Experienced professionals know the little nuances that make their practices very effective in the way they have negative items removed from their clients’ credit reports. Not all credit repair firms are equal. In an industry where the clients are already stressed, some companies will take advantage of the situation. Be wary when choosing a company to work with! Going forward, your best defense is to purposefully build and maintain a positive credit history. The most important thing you can do is make ALL of your bill payments on time. If you rack up more late payments or failures to pay, you’ll keep damaging your credit standing and your scores will drop lower and lower. I suggest that you set up your bills on auto-pay. This way you won’t miss any payments. You can do this with your credit card or bank account. This is the single most effective tactic to avoid negative credit items and build a good credit track record. The debt to credit limit ratio has a significant impact on your credit score. What is important is your short term debt to available credit. This ratio represents the amount of credit that you actually use compared to the total credit that you have available. In order to keep your score as high as possible, don’t max out your limit. I suggest you keep your ratio to less than 30% in fact. This will help you maintain and increase your credit score. A closed credit card account will show up on your report. In addition, the longer you have credit history, the better. Keep in mind that when you close a card you actually decrease your average account age and that hurts your score. By closing a card, even if you don’t use it, you reduce the amount of credit you are allowed. This damages your debt to credit ratio. It also reduces your credit history. There are benefits in keeping cards open even if you don’t use them, so think carefully before closing one. Likewise, it is not wise to open many new accounts over a short period. Open a new credit card only if you need it. It’s great that you recognize a need to make changes. That’s the first step. But that isn’t enough. If you want to repair your credit, and build up your credit score, you need to take it to the next level. Improving your FICO score is possible and achievable! If you are the I will fix my credit by myself kind of person, you need to be consistent and take the right steps. If you are willing to put the effort in and learn the exact steps mentioned above, you’ll see a significant improvement in your credit score. If you prefer, like many others, to hire a reputable and efficient firm to assist you in removing negative items from your report and increasing your score, then I strongly recommend Lexington Law. …Don’t Want To Do It Yourself? Call Now 1-800-293-3672 or CLICK HERE to Learn More. You may want to read our Lexington Law review to understand a bit more about the process of working with them.